March is an excellent time to do your spring plant feeding. Fertilizers are either natural or synthetic substances that are added to soils to increase their capacity to support plant growth. Organic fertilizers are usually single ingredients. Examples of this type include cow manure, hen manure, fish emulsions, worm castings, bat guano, and seaweed extract. Synthetic or non-organic fertilizers include water soluble, chemical fertilizers, and food spikes. The three numbers you generally see in the fertilizer package represent the percentage of the 3 main nutrients - N for Nitrogen, P for Phosphorus, and K for Potassium. N assists with overall plant growth and green leafy growth; P is responsible mainly for promoting healthy and strong root systems; and K is important for overall plant health. Unless the soil provides sufficient nutrients, addition of fertilizer is absolutely necessary. There are other nutrients that are also very important which are called minor nutrients. Although called "minor", they are essential in more or less quantities depending on the plant. The type and quantity of minor elements in the fertilizer is usually where "not all fertilizers are created equal". Leaching is the removal of nutrients from the soil by rain and percolation. In South Florida, nutrients are leached from our sandy soils somewhat easily, so fertilizer applications are needed on a regular basis. Fertilizers are generally formulated to last three-to-four months. To offset leaching and maximize use of fertilizer applied, fertilization is recommended every three-to-four months. Unless a particular plant deficiency is observed that requires a fast solution, slow-release fertilizers are best to minimize leaching and maximize fertilizer results. Our 12-4-12 Palm and Shrub formula is an excellent choice for South Florida landscapes. The list of minor elements are also in higher percentages than in most other fertilizers. It is formulated to feed the plants or trees that need the most nutrition in the planter bed, generally palm trees. So this fertilizer can be applied to palm trees and other plants and shrubs in the landscape. An organic option is Dr. Earth 6-4-6 Palm, Tropical, and Hibiscus fertilizer which contains beneficial microbes and mycorrhizae to help the plant break down and absorb nutrients. For plants in containers, we recommend our 18-6-12, which is the fertilizer we use in the nursery. Plants in containers require a different formula than plants in the ground because generally, a loamy potting soil was used when planting. Dr. Earth's Root Zone 2-4-2 with beneficial microbes and mycorrhizae is the organic option. Specialized formulas are also available for lawns, annuals, blooming shrubs, and fruiting trees. Depending on the last time you fed your fruit trees, you may need a faster acting 30-day or a slow-release 90-day fertilizer. It is important to use the proper amount of fertilizer. Follow the instructions in the bag and always water after application. A good rule in landscapes is to apply one pound for every 3 feet of height for palms and woody ornamentals. Preferably apply the fertilizer underneath the mulch instead of on top of the mulch to get the most out of your fertilizer. There are several hundred varieties of this genus. Many are popular as potted plants due to their decorative leaves. Most people know their relative, the prayer plant, whose leaves fold inward when touched. Both belong to the family of plants called Marantaceae. 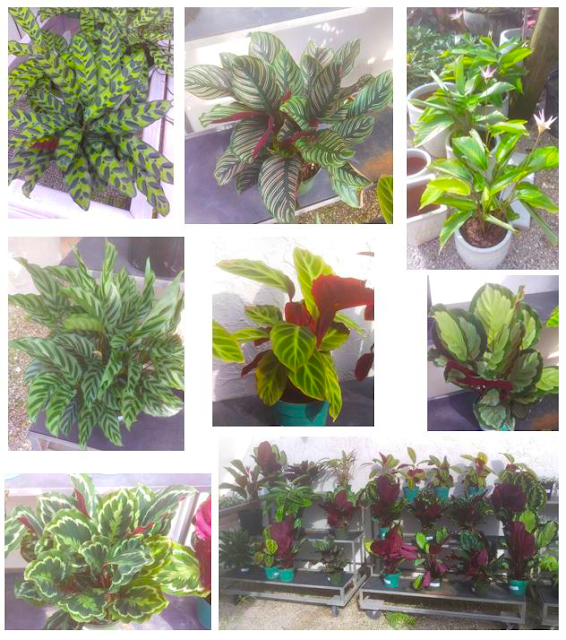 Calatheas as houseplants are grown for their wide variety of leaf shapes and colors. Calatheas rarely bloom indoors, but in shade gardens, they delight their owners with flower spikes. Light requirements for Calatheas are high, indirect light but no direct sun. Watering requirements are to keep the plant consistently moist but not sitting in water. They are a little forgiving when kept on the dry side but not for prolonged periods. High humidity levels are appreciated. 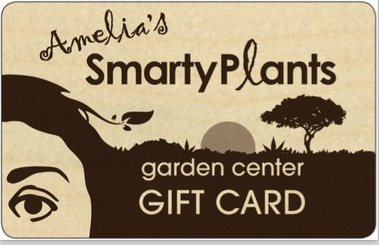 We currently have more than a dozen varieties at SmartyPlants. Many in 6-inch and 1 gallon-sized pots. An important note - Do not use leaf shining products on Calatheas.